The PGY 2 year is an exciting, eclectic year in which residents rotate in a variety of clinical settings and psychiatry subspecialty areas. In addition to fostering an expansive breadth and depth of knowledge and experience, this year provides residents with the exposure they need to begin to formulate long term training and career objectives. The long-term inpatient setting at Bronx Psychiatric Center provides a rare opportunity for PGY 2 residents to intimately observe the course of mental illness over an extended time period, not only from day to day but also from month to month. Here, our residents learn much more than stabilization and discharge; they are provided with the opportunity to delve into a psychodynamic exploration of their patients' mental experiences and psychiatric illnesses. In addition, and of paramount importance, they also begin to learn how to examine and better understand their own reactions to their patient's illnesses and life stories. This unique experience becomes the incubator for deeper and more sophisticated ways of thinking about psychiatric issues. This unique, intensive training experience, while also utilizing milieu, family and psychopharmacological approaches, offers the opportunity to learn a multiplicity of state of the art clinical interventions, in an environment that greatly enriches the training experience beyond that of the acute care inpatient units currently used by most residency programs. In addition, opportunities to explore the complexities of systems based practice, forensic psychiatry and conduct scholarly projects are plentiful. The PGY 2 two-month rotation on the Psychosomatic Medicine Service, offers unique opportunities to gain expertise in Psychosomatic Medicine. Residents will learn how to evaluate and manage psychiatric aspects of medical illness while providing liaison and consultation to the medical/surgical services in our large university hospital. Residents are supervised by attending psychiatrists with multiple subspecialty boards including psychosomatic medicine, forensics, geriatrics, substance abuse and pain medicine. The opportunity to diagnose and treat psychiatric problems in super-specialized services such as oncology, transplant, pain and palliative care, make this rotation one of a kind. On this Service, the residents are assigned to a team, each made up of an attending, a fellow, 1-2 residents, and a medical student. Each team conducts clinical teaching rounds daily. All consults seen by trainees are also evaluated by the attending and discussed in rounds. Patient interviews are observed and critiqued, histories and clinical findings are presented, management plans developed and the medical literature reviewed. Each team sees an average of 2-4 new consults per day. A clinical case conference, in which trainees present difficult cases to a panel of attendings, is conducted weekly. A clinical neuropsychiatry case conference in which both neurologists and psychiatrists are in attendance, is held every two weeks, and fosters collaboration and in depth examination of patients with complex and challenging presentations that involve both neurological and psychiatric elements. A comprehensive Addiction Psychiatry Training experience with a 1-month rotation through multiple addiction sites during the PGY2 year exposes residents to a wide array of substance abuse treatment modalities, under the direct supervision from the addiction faculty. Residents rotate through the Montefiore Substance Abuse Treatment Program (SATP) where they observe methadone maintained patients with co-occurring psychiatric disorders. Here, the residents are able to conduct psychiatric assessments of patients with substance use disorders, and learn about the differential diagnosis of substance induced versus primary psychiatric disorders and appropriate psychopharmacologic and psychotherapeutic treatment modalities. Residents also rotate through the Montefiore Substance Abuse Consultation Referral Service (SACRS) where they are exposed to medically hospitalized patients with addiction problems. Here residents do evaluations of patients who may be intoxicated or have withdrawal syndromes, and learn about motivational interviewing and issues related to patients who are just beginning to become aware of addiction problems in their lives. 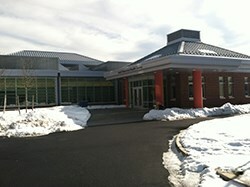 As part of the addiction psychiatry training, residents also rotate through inpatient and outpatient detox services at Jacobi Medical Center where they gain a foundation in evaluation and management of alcohol, opiate and multi-substance withdrawal syndromes in patients with both acute and chronic addiction problems. The month long PGY 2 rotation in geriatric psychiatry provides residents with the opportunity to evaluate geriatric patients in a variety of settings, including the psychiatry clinic, nursing home, home care service and senior citizens residing in the community. The rotation seeks to counter misconceptions regarding the capacity of older adults to respond to treatment as well as to expand the resident's perspective on the provision of care to frail elders and their families. Direct supervision enhances the resident's capacity to assess impaired cognition and decisional capacity as well as consider aspects of diagnosis and treatment of particular relevance to the geriatric patient. Residents become familiar with care sites and mental health services typically used by older adults including home care services and nursing homes. Residents are introduced to the "functional approach" to geriatric care that aims to restore or maintain the older adult's optimal possible level of independence and well being. They also become familiar with geriatric team care in which clinicians from an array of disciplines provide services that at times overlap but should always compliment. Residents accompany geriatric psychiatry fellows and faculty on house calls, consultations in the community and to nursing homes. They also participate in weekly case conferences, journal clubs and research seminars held jointly by the Divisions of Geriatric Psychiatry and Geriatric Medicine. Finally, a 2 month rotation in child and adolescent psychiatry completes the PGY 2 year of training. 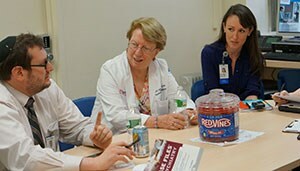 During this rotation, residents provide behavioral care evaluation and consultation to medically ill child and adolescent inpatients on both the general and specialty pediatric units in the Children’s Hospital at Montefiore (CHAM), ranked in the 2014-15 US News’ Best Children’s Hospitals, conduct intial comprehensive evaluations to children and adolescents presenting to the psychiatric outpatient clinic (COPD), and conduct evaluation, treatment and crisis intervention to patients and families presenting to the Pediatric Emergency Room at Montefiore Medical Center. While on rotation, the resident attends all unit-based rounds, conferences, treatment team meetings and therapeutic groups on the services on which they rotate. All patient experiences are under the supervision of senior faculty from the Division of Child/Adolescent Psychiatry. The residents' training experience is further enriched by their collegial interactions with Fellowship trainees in the Division of Child/Adolescent Psychiatry, including attendance at classes and conferences with first year fellows. This rotation provides a unique opportunity to learn about child development and psychopathology for both the adult resident who will continue with advanced training in child/adolescent psychiatry as well as enriching the experience of those residents who will continue with adult work. Our residents have the opportunity to re-explore acute inpatient psychiatry as a PGY2 at Montefiore North, a sister hospital of Montefiore Medical Center. Similar to the PGY1 experience on Klau-2, our PGY2 residents work on a multidisciplinary treatment team, and provide comprehensive treatment incorporating a variety of treatment modalities. Montefiore North’s adult inpatient psychiatry unit is a locked 35-bed unit. The confidence and skills gained during the PGY1 year allow for the PGY2 residents to operate more independetly on this rotation, while still having the benefit of strong, direct supervision from experienced attendings. Our PGY2 residents spend a month rotation on the Palliative Care Consult Service at Montefiore Medical Center. The residents learn extensively about pain management, hospice care, shared decision manking, and end-of-life isues, while also incorporating medical and psychological treamtents for a unique patient population. While our PGY2 residents gain comfort with end-of-life issues, they become a valuabel asset to the team by addressing a wide range of mental health issues faced at the end of life, including suicidal ideation, depression, and anxiety.